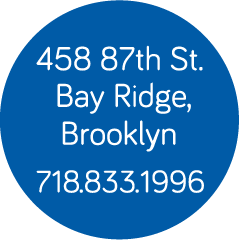 Want to know more about Brooklyn Stitchery? Drop by and learn to sew! Brooklyn Stitchery is the studio space of Catherine Petrosino–but it’s not just a studio. It’s a place where you or your child can learn new sewing skills or enhance and develop existing technique. It’s a unique place where you can see the inner workings of a studio while taking a class. Brooklyn Stitchery is where Catherine designs her semi-custom line of clothing, Reversibility. Sewing is what Brooklyn Stitchery is all about. Not your usual buy a pattern, follow it and sew, but sewing and creating from a foundation. Catherine teaches her students industry techniques as well as how to alter commercial patterns for a custom fit. Making a garment is an intuitive process and understanding construction and technique, an important aspect. Foundation is the basis of everything that comes out of Brooklyn Stitchery–from the clothing designed and created in the studio to the way classes are taught. Brooklyn Stitchery offers you or your child a unique opportunity to take classes in a working studio. Spacious and well equipped, the studio includes a variety of sewing machines, Catherine’s large collection of fabrics and sewing notions, and everything you need to learn and create. Brooklyn Stitchery also hosts events and creative workshops. We recently became an art gallery for the Stand Project and host workshops for Girl Scout troops and other organizations. We work with an F.I.T. professor to give fashion design workshops as well as inviting local designers and artisans to the studio to show their work and help you connect to your creativity. Located between 4th and 5th Avenues near Century 21. Take the R train to 86th Street, Brooklyn. Deposits are required to hold your space in a class. Payment must be made in full before the first day of class. You can make a $50 deposit payment above. MAKE-UP POLICY: You can make-up a missed class by attending another class based on availability. We will also schedule one make-up class at the end of each session during your regular class time. Our hours change every week as we are open based on the class schedule, so please call 718.833.1996 before stopping by! At Brooklyn Stitchery classes are small and fill up quickly, so reserve your spot today. between 4th and 5th Avenues near Century 21. Take the R train to 86th Street Brooklyn. Our hours change every week as we are open based on the class schedule. © 2019 Brooklyn Stitchery All Rights Reserved.